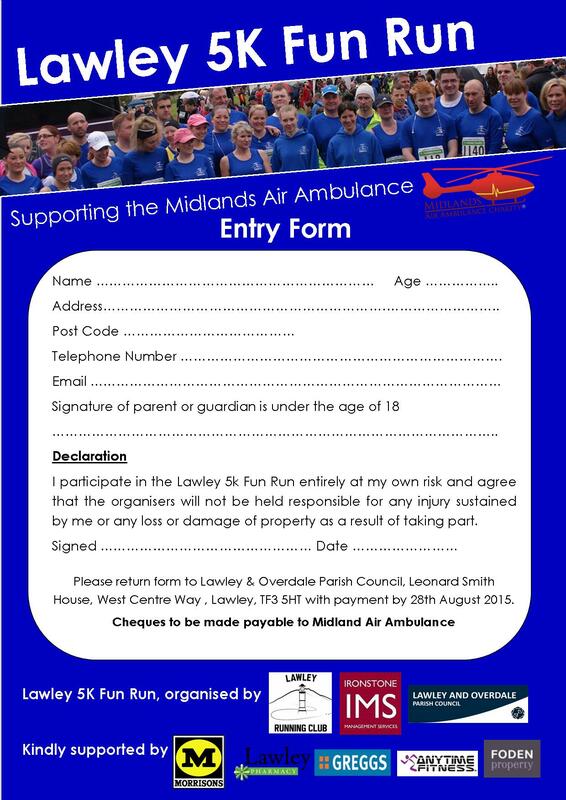 Have you registered for the Lawley 5k fun run yet? 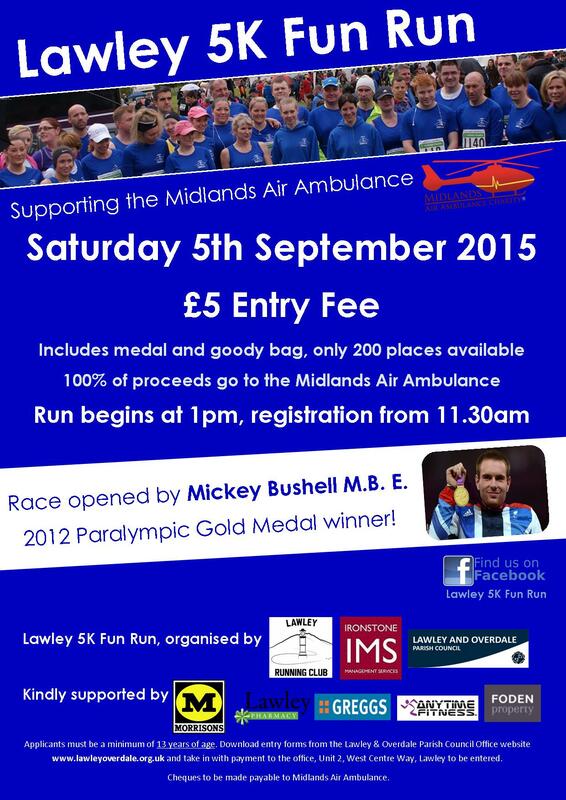 Have you registered yet to take part in the Lawley 5k Fun Run on Saturday 5th September? Please see the attached documents regarding the details for the Fun Run on Saturday 6th September. 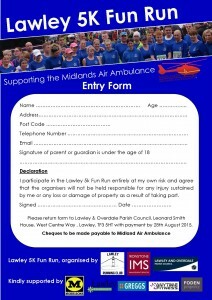 If you haven’t already entered there is an entry form attached. 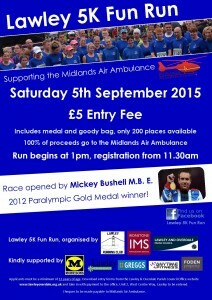 · The Fun Day has been postponed and a revised event will now take place provisionally in September. All participants for the Sunday event will be notified. · The seven a side football tournament will still take place – (subject to weather and pitch inspection) at Lightmoor Village. · The art and photo competitions will still continue – with revised format for subject. Further details will be made available shortly. Any entries received at any of the collection points will still be eligible for entry. Look at what is on offer at the Lawley & Overdale Games 2012!